Earlier this summer, we heard from community development leaders about the moment they realized that neighborhood conditions and health factors were inexorably linked. We have also written about the topic, including articles on financial health, housing for health, and how community development organizations are incorporating health into their projects from the get-go. Now, we are switching things up. This month, we are delving deeper into the neighborhood-health connection through our blog series. You’ll hear more on August 20 during our second Network Commons webinar. In the meantime, here is a quick primer on just how deeply intertwined the work of community development and health sectors are. First off, health is more than health care; ZIP code matters. Although health care is important, its contribution to health disparities is not as significant as you might think. By one oft-cited estimation, lack of health care or inadequate health care accounts for only about 10 percent of premature deaths. Community development is in the ZIP code improvement business. So if not health care, then what? You might have heard that ZIP code may be more important than genetic code in terms of one’s health. We believe that’s true. When neighborhoods lack the many things that contribute to good health, like stable housing, good schools, jobs, high-quality food, and more, their residents’ health and well-being suffer. These “social determinants” of health join health care in narrowing or widening health disparities, and ensuring health equity. That’s why community development is so important. Community development is in the ZIP code improvement business. Community developers may not necessarily use the term “social determinants of health” to describe their work (though that may be changing). But health equity is community development’s goal, just as it is the goal of public health. Health equity is a shared goal of community development and public health. If community development is in the ZIP code improvement businesses, then public health is in the health improvement business. Led by the direction of the Centers for Disease Control and Prevention, public health is a field within the health sector focused on disease prevention and health promotion of the greater public through educational programs, policies/regulations, services, and research. That said, public health “is much more than disease prevention. It’s about helping people reach their full potential for health and achieve a state of wellness,” Howard Koh, the former assistant secretary of the Department of Health and Human Services, told us earlier this year. Moreover, as community developers know, not all families (or communities) have the same opportunities to achieve that state of wellness. That’s why public health professionals often talk about health equity, or “the attainment of the highest level of health for all people,” as the ultimate goal of their work. By joining forces, the public health and community development sectors can have a more powerful impact. The community development and public health fields work in many of the same communities, with the same people, but not always together. Yet many of the root causes of poverty and poor health are the same. 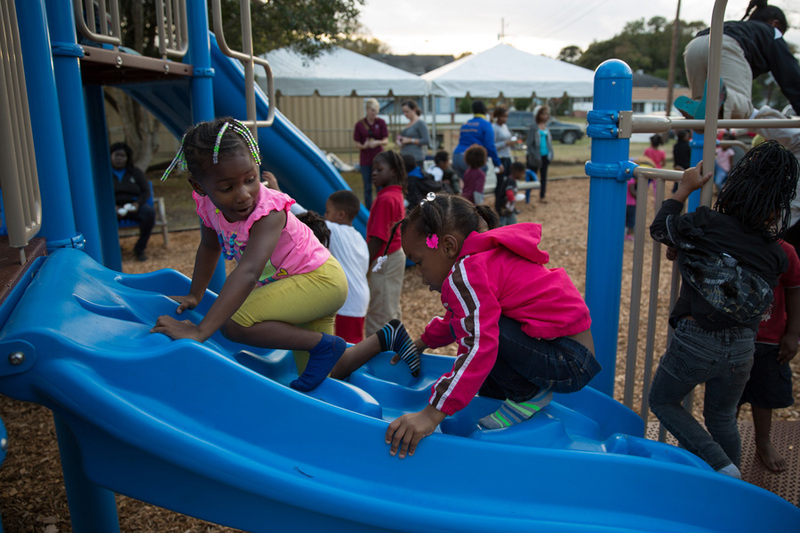 By joining forces, community development and public health can have a greater impact in low-income neighborhoods and on the lives of people living in them. But what is the next step, beyond a shared mission? How can community development become a closer partner for public health, and vice versa? By improving neighborhood conditions, community development is the action arm for addressing multiple social determinants of health. The field provides a pathway and means to finance the neighborhood changes required to achieve the health equity goals that both fields strive for. Get inspired. Check out some of our favorite initiatives that highlight collaboration between health and community development sectors. Share your picks with us on Twitter by using #ZIPmatters. National Collaborative for Health Equity’s Place Matters Initiative. Association of Academic Health Centers’ Social Determinants of Health Initiative. Robert Wood Johnson Foundation’s Healthy Kids, Healthy Communities. Booth Memorial Child Development Center, Oakland, CA. Learn more. Here’s our essential list of reports, videos, and other resources on the social determinants of health and the connection to community development. Share your picks with us on Twitter by using #ZIPmatters. Report: Practitioner’s Guide for Advancing Health Equity (CDC). Video: Upstream Investments: How CDCs impact public health (HRIA). Video Series: Unnatural Causes: Is Inequality Making Us Sick? (PBS).